I'm obsessed with Aritzia, and when browsing their online catalog (seriously, they need online shopping!) 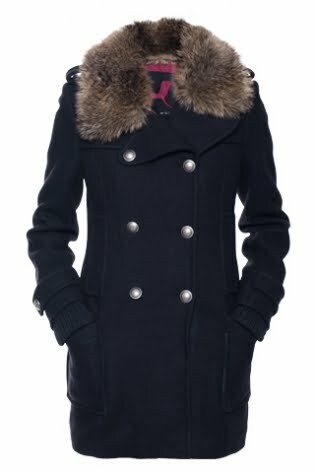 I spotted this adorable (faux) fur collar wool cadet coat by the brand Community. It retails for $325. Loving the coat above but aren't sure you want to spend that much? Check out this option from American Eagle. It retails for $129.50 (use code 39654782 for 20% off!) and comes in navy (shown below) or olive green. Click on the photo below if you're interested in purchasing.